We have recently re-deigned the original Grip Tray™, the update of which has just been launched by Joseph Joseph. This stylish, non-slip serving tray is designed to keep glasses, cutlery and plates safely in place during their journey from kitchen to table. 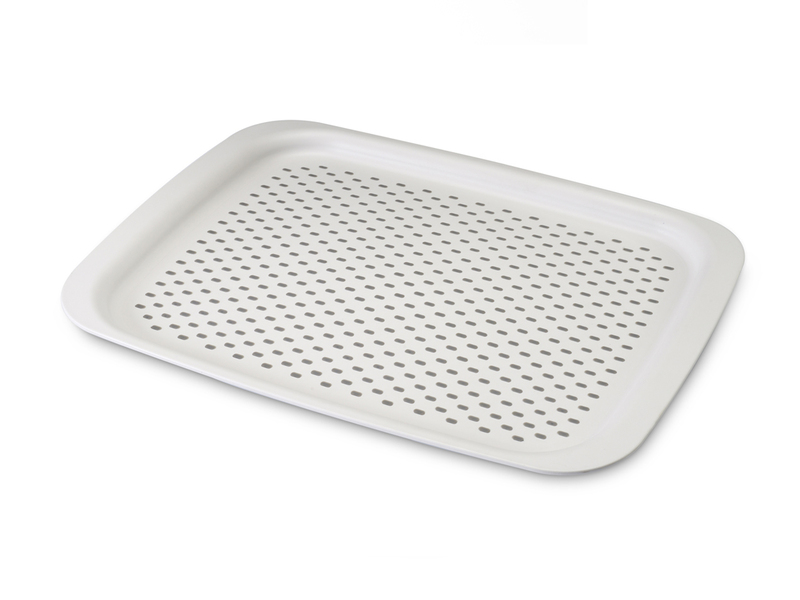 Its distinctive, high-grip surface is formed from an array of smooth rubber studs that are moulded through the base of the tray.